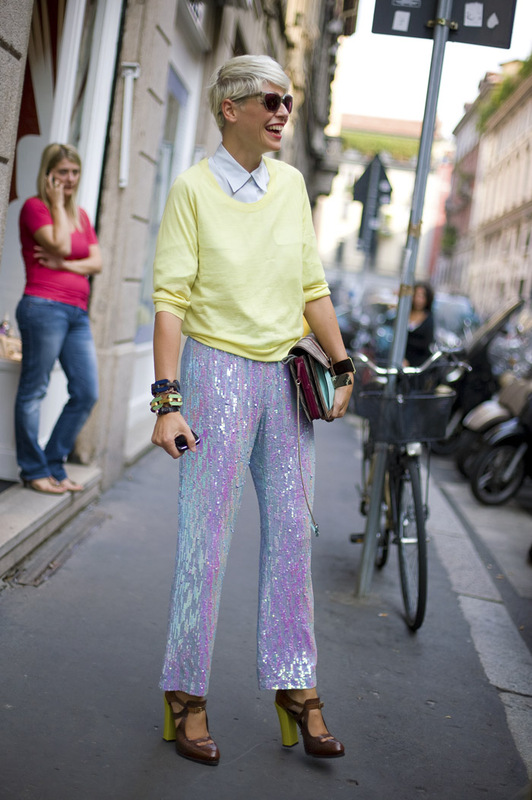 Pops of color, sequins, leather, and prints. Just a few things I love. I love the combination of the first girl with the blazer and shorts! So cute right!? I can't wait for a little warmer weather to rock that look! That striped skirt is divine! Isn't it amazing!? And Melissa, is it true that I will finally get to meet you at the Poshmark event this Thursday?! So excited!!!! pops of colour and light clothes! I need spring to come already asap!